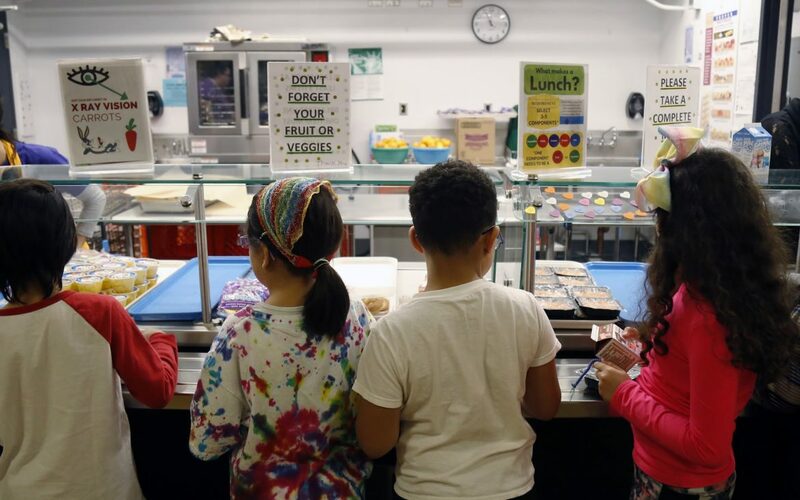 Students make their way down the lunch line at Phillips K-5 school on Feb 19. (Photo by Ryan Loew/PublicSource)Voters across Allegheny County narrowly rejected a ballot initiative on Tuesday that would have raised property taxes by a quarter mill to funnel $18 million annually to children’s programs. With 97 percent of precincts reporting, preliminary results showed county residents voted 51.8 percent to 48.2 percent to reject the tax hike that would have created the Allegheny County Children’s Fund. The rejection came despite a months-long, million-dollar campaign promoting the fund that was financed largely by local nonprofits. The initiative would have created a new pot of county money to be distributed by a new county department. The money would have been used for “early childhood learning, after school programs, and nutritious meals,” according to the campaign website.